Madison College student Spencer White drives the virtual drunk driving simulator simulator as the operator increases the virtual level of alcohol. 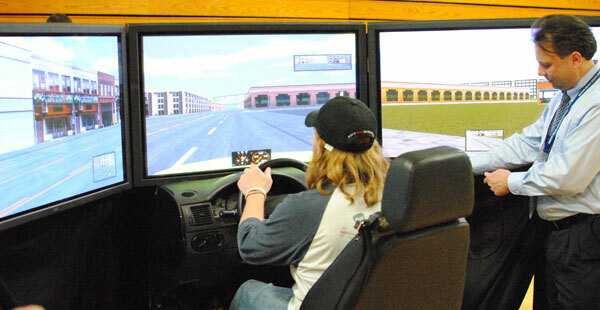 A virtual drunk driving simulator was brought to the Truax campus gym on April 17th. Save a Life tour is a national organization that is raising awareness of the consequences of drunk driving. David Chastain, Health and Wellness coordinator, said that sometimes we forget that drunk driving is an issue for Madison College students. 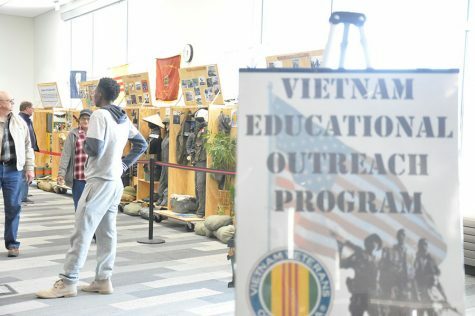 In reality, it may be even more prevalent than on a traditional campus because there is no on-campus housing, and many students commute to school. Chastain emphasises education about the physical effects of alchol on the body, and how to process what you feel prior to getting drunk. This awareness allows preemptive planning and more responsible behavior while drinking. If you have questions about alcohol awareness please contact Chastain at 608-245-2117 or [email protected].